Although it's been leaking around like a broken jug for months now, the third generation of Google's Pixel devices became officially-official just a while ago. Now, from a purely design perspective, Google hasn't really went all overboard with its new Pixels. The regular Pixel 3 hasn't jumped on the bezel-less train that seemingly everyone is riding already and has a more traditional design, whereas the Pixel 3 XL employs a more modern aesthetic that quickly riled up lots of controversy due to the excessively deep notch at the front. Surely, the Pixel 3 XL is not a stunner as far as aesthetics are concerned, but it surely not that much harder to use than, say, a Pixel 2 XL or an iPhone XS Max. 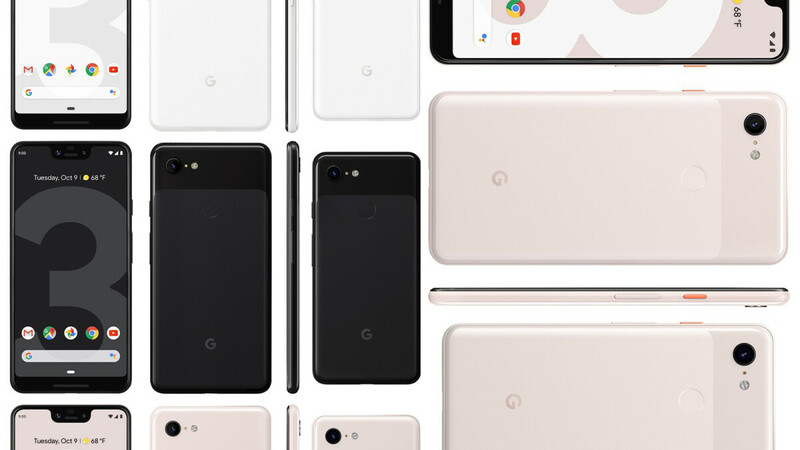 But how does the smaller Pixel 3 stack up against its more compact competitors, and in the meantime, how does the large Pixel fare up against the high-end rivals at hand? Our nifty size comparison tool is here to answer all those questions, and without further ado, let's start things with the Pixel 3. Next up, we have the large Pixel 3 XL, which is a bit more imposing due to its 6.4" display. Here's how it compares against some of its most important rivals, the trove of Galaxies, iPhones, and other Android troopers around. damn! Both Samsung and Sony are so narrow and long! Especially S9 and S9+. I miss the 16:9 ratio! R.I.P. But it's 5.8" vs 5.5" screen. The S9 has a QHD+ (2960x1440) resolution display, and the Pixel 3 has a Full HD+ (2160x1080) resolution display.